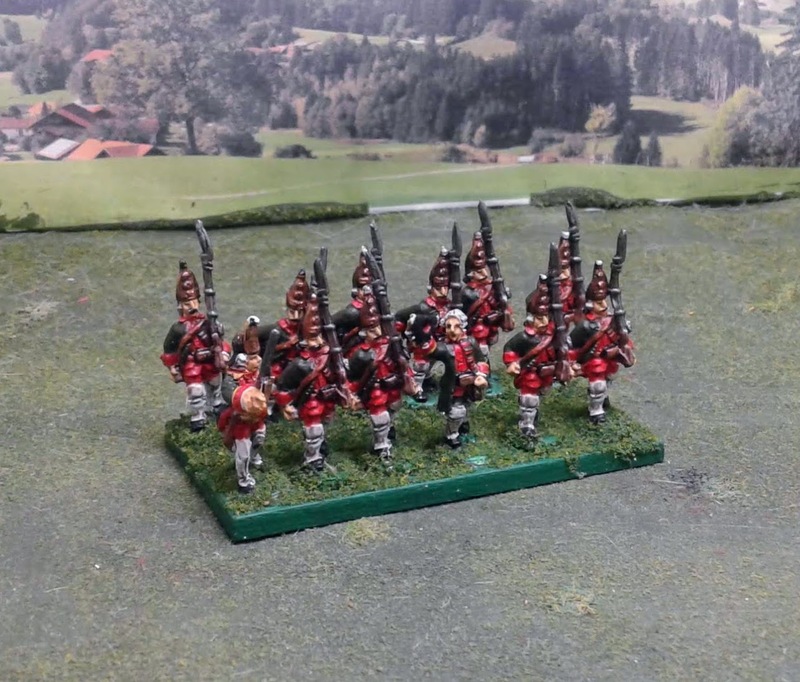 Rounding out the month of May, I completed two stands of Grenadiers to finally bring the 2nd and 4th Grenadier regiments up to full strength. 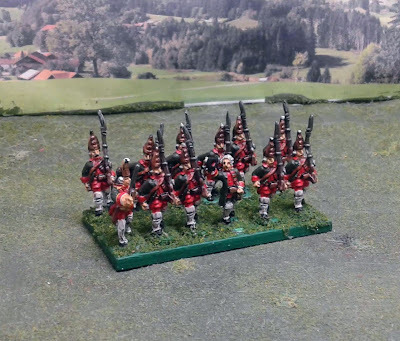 I did this previously with the 1st Grenadiers after I discovered that the Grenadier regiments were 150% or more the size of the regular line Infantry Regiments. 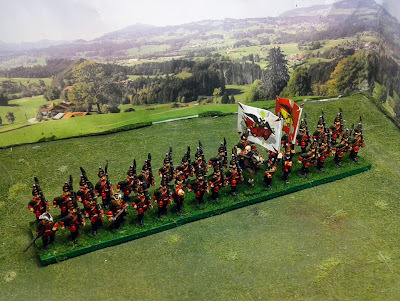 In this case I opted to do an additional stand to add to the existing regiments to provide some flexibility. 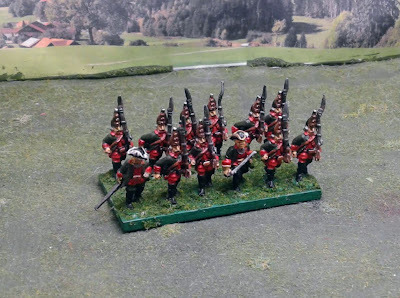 (They can be used to make a single large unit, or broken out and reflected as an additional unit depending on the rules) It also allows me to sub them in as combined grenadier battalions for other scenarios. To pair along with the rest of the second line I did on unit with white leggings and coats, and another with black leggings and coats. Here they are with the completed regiments. This also means that I have passed another milestone in the Zorndorf project. 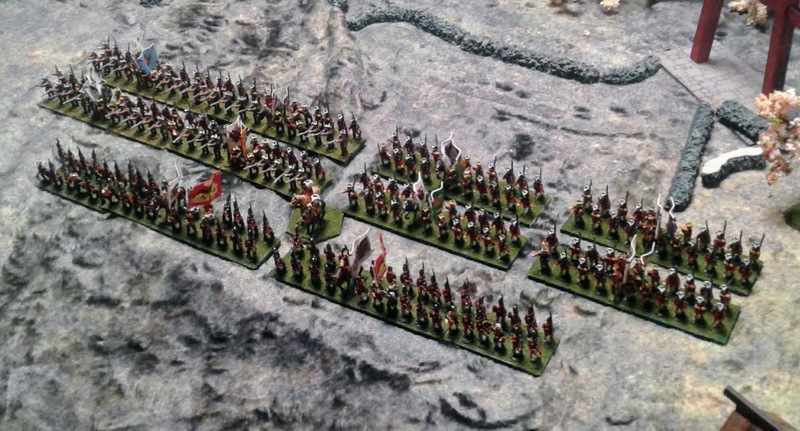 Galytsin's Division of 11,000 men is now at full strength with 2 Grenadier Regiments and 8 Musketeer Regiments. So time for a Pass in Review. There have been a lot of fits and starts with the project of late, but things are still looking fairly positive. I have two artillery batteries with limbers remaining for the artillery, four stands of hussars of for the left wing, four infantry regiments for the 1st line and 5 regiments for the 1st line left to do. It may be close. Great looking grenadiers and your Zorndorf Russians are building right on schedule. Our approach to fielding grenadiers is a little different but wholly explainable by organization. 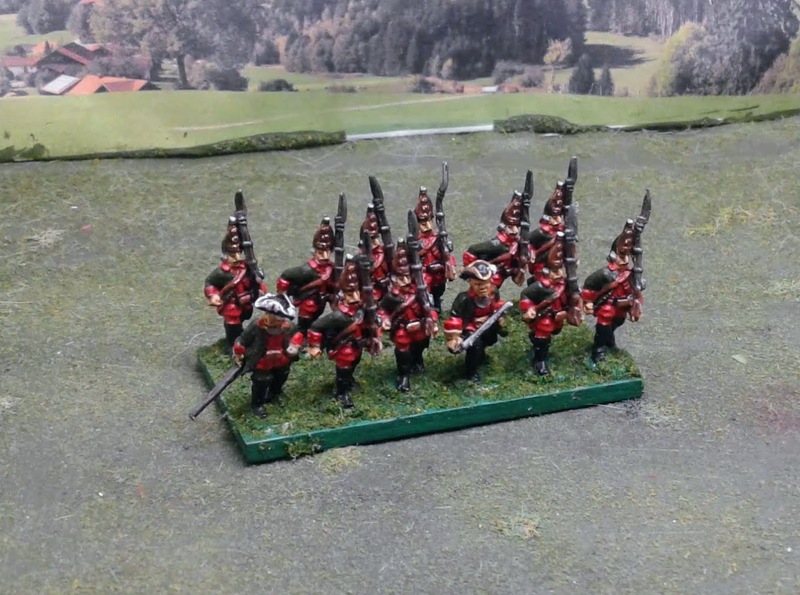 The standing Prussian grenadier battalion is based as a full strength musketeer battalion on a 120mm frontage. A Prussian combined grenadier battalion is combined from grenadier coys from two infantry regiments. Each regiment's compliment of grenadiers is based on a 40mm frontage giving a combined grenadier battalion a frontage of 80mm. I admit to going with a field expedient 1/2 stand (60mm) = 1 BN and whole stand (120mm)= 2BN approach. 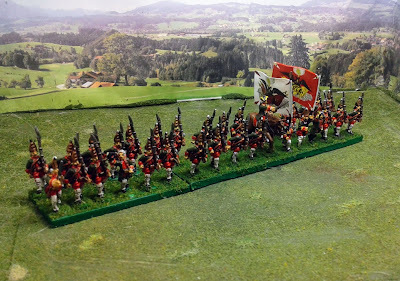 I can re-base if it becomes necessary for Kunersdorf ,or another battle, but for this one all the combined Grenadiers will not be on the table. The rules piece in Honours of War is to determine if units like the Observation Corps and Grenadier regiments are better represented by large units or by increasing the total number of 'regiments' for the table. The five units in the Observation Corps had a combined strength of around 11000 men, and the four Grenadier Regiments 7100 men. This outnumbers the 16,500 men spread out across the 16 regiments of the line in both Saltykov's and Galytsin's Divisions! Your quality and output is inspiring! Gorgeous Grenadiers! 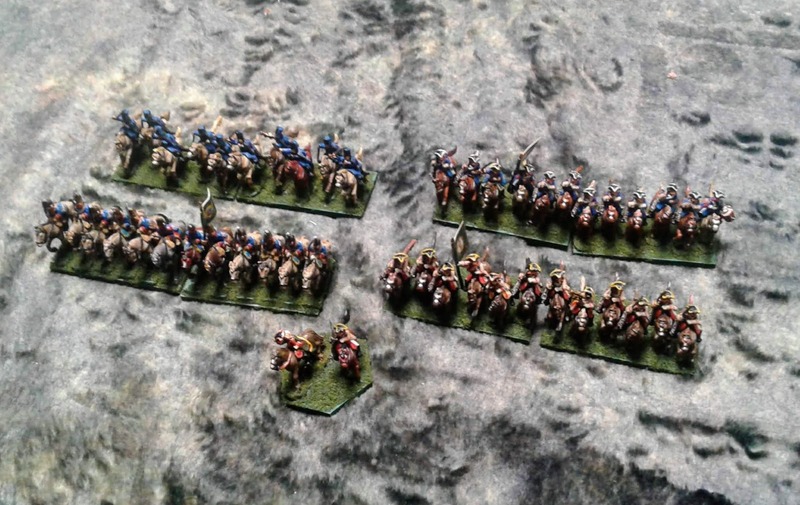 Everything looks to be on target for completion of the Russians on time thus far, as long as life doesn't intervene!